India despaired Monday at a weekend of failures by its main medal hopefuls in Rio as commentators warned that the Olympics' ultimate under-achievers could return home from Brazil completely empty-handed. Following a string of disappointments in the first week of competition, sports fans had been banking on India's tennis, badminton and hockey stars to lift the mood and restore some national pride in time for Monday's Independence Day celebrations. 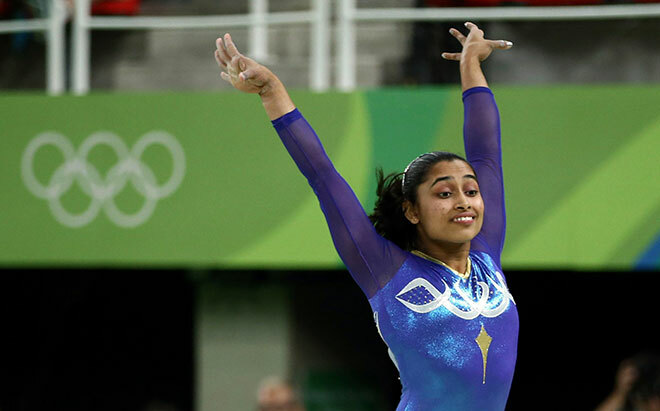 But those hopes were crushed during a string of below-par performances on Sunday afternoon, before the final blow came in the evening when gymnast Dipa Karmakar just missed out on a medal by finishing fourth in the women's vault. After reminding readers that the last time India departed an Olympics empty-handed was at the 1992 games in Barcelona, the Times of India lamented that "a repeat, sadly, is on the cards". The First Post website meanwhile called day nine of the competition "the most dismal one for India so far", underscoring the sense of letdown in the world's second most populous nation. 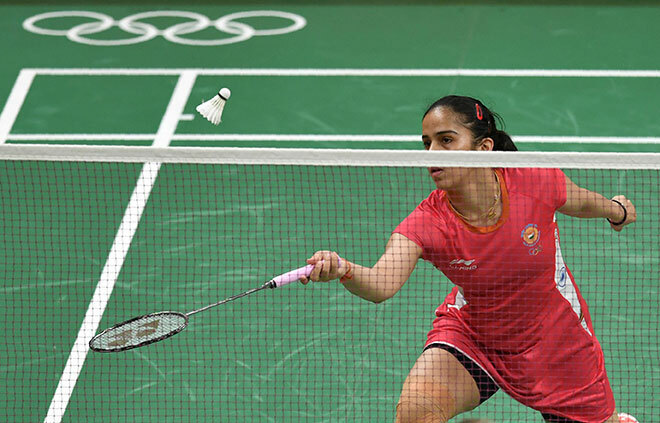 One of the biggest disappointments was the defeat of Saina Nehwal, the poster girl of Indian sport, who crashed out of the badminton competition by losing to a player 56 places below her in the world rankings. 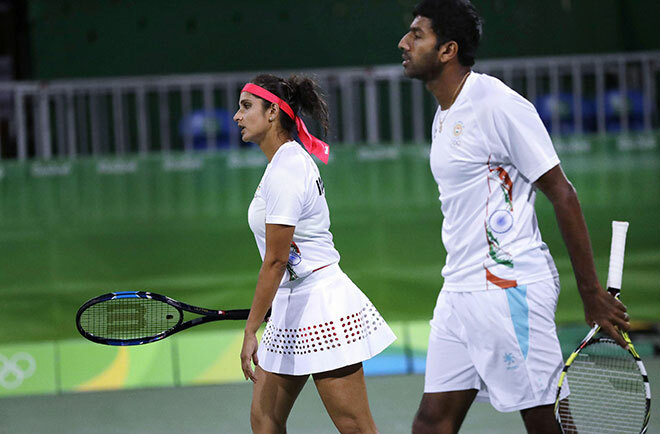 The experienced mixed doubles pair of Sania Mirza and Rohan Bopanna then missed out on a bronze by being outclassed by Lucia Hradecka and Radek Stepanek of the Czech Republic in the third-place playoff following an earlier defeat to the United States. And adding insult to injury, the men's hockey team - which once dominated the Olympics and has won a total of eight golds - was beaten in the quarter-finals by Belgium in a performance the Hindustan Times described as "dismal" and "lacklustre". Even the country's shooters, who secured medals at the last three Olympics, were off target and failed to gain a place on the podium in any of the disciplines. In a series of tweets over the weekend, Prime Minister Narendra Modi insisted Indians should be proud of their compatriots in Brazil while adding that people had to learn how to deal with adversity. "I urge all athletes who have their games remaining to give their best & play with determination, not get burdened by what the result will be", said the prime minister. "India is phenomenally proud of all our athletes in Rio & their hardwork that got them there. Victory & setbacks are all a part of life." The Times of India however was less forgiving, saying the competitors appeared to be out of sorts. "The Indian contingent here has been inflicted by a strange virus. While all the worry before coming here was over Zika, no one thought another kind of mind disease was awaiting the Indians. "The virus has played havoc and all the Indian stars are falling down like flies, one by one... The sick bay is overflowing." Although its overall record is poor in terms of medals per head of the population, India had been showing some progress at recent Olympics, winning the first gold at the 2008 games in Beijing and six medals last time out in London in 2012.